There are three main contributors to a dirty carpet: dogs, children, and men. All three will think nothing of trampling mud from outside into your beautiful carpet. And dirt always seems so much harder to get out of a carpet than to put in. 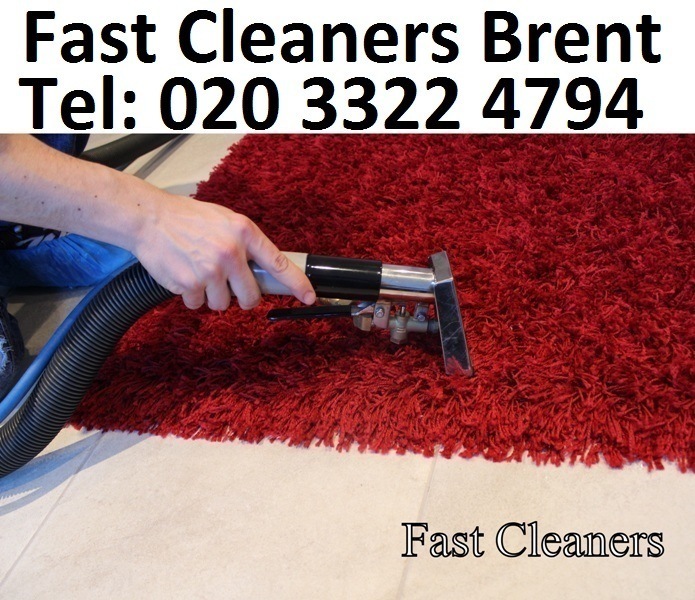 The carpet cleaning service from Fast Cleaners Brent is the answer to your prayers. Get cleaner and more hygienic carpets without the back breaking effort. Our cleaners use the latest cleaning techniques that will revitalise your carpets without damaging them. Many of the do-it-yourself carpet cleaning kits on the market contain harsh chemicals. Use them too many times and the colour may be permanently removed from your carpet. Our cleaning company only use cleaners that are effective, yet won’t damage the fabric itself. Dinner parties are great. An opportunity to eat great food, drink beautiful wine, and catch up on the latest gossip from your friends. But do you find yourself watching the wine glasses, rather than listening to what people are saying? Red wine spillages can be so difficult to remove, and throwing white wine on top of it just doesn’t seem to work. Don’t worry, we can remove spillage stains from your carpet, even if they’ve dried or become ground in. It’s just part of our complete carpet cleaning solution. It’s also a great relief for people who suffer from allergies and asthma. We’ll destroy the dust mites that can aggravate these conditions. You and your family will feel healthier, and your carpets will look brand new. So what are you still waiting for? Grab your free cleaning estimate now and call us at 020 3322 4794. You can also check our affordable cleaning prices upon calling and talking to our friendly staff.